From Washington Trees to Wisconsin Cheese! 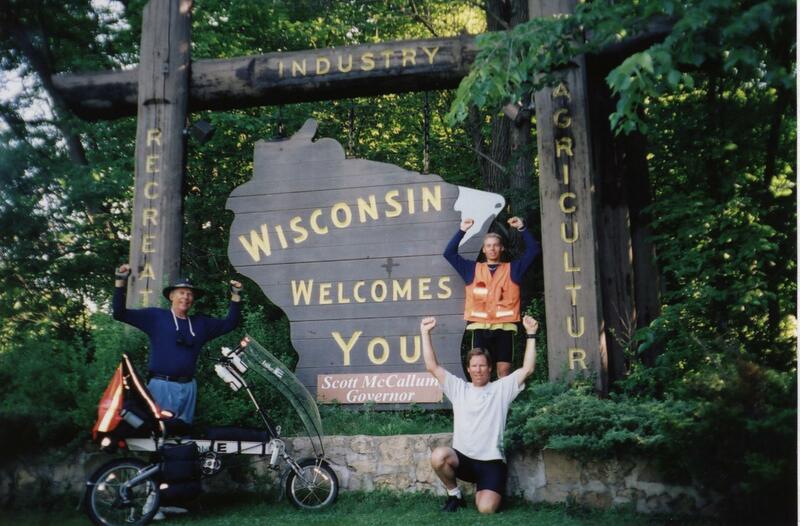 Ken, Randy (Ken's son) and Joe (Ken's grandson, but not Randy's son) have biked 2001 miles in the year 2001! Their journey has taken them from the Seattle, Washington area to Ken's hometown of Kaukauna, Wisconsin for Ken's 50th high school reunion! Check out all the excitement at the links above, and be sure to spend some time reading their journals...they are fascinating. This page generated over 7800 hits during the months of the bike ride!